EarthWater Feature: Would You Drink Water That Looks Like This? “The Morning Blaze with Doc Thompson” has been highlighting American entrepreneurs with a Building America series. 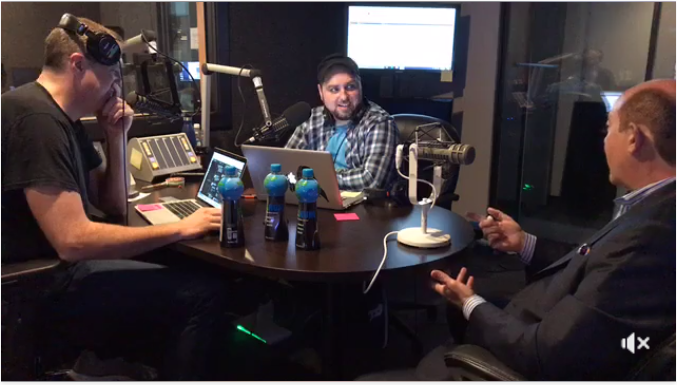 EarthWater founder and CEO CJ Comu joined Monday’s “The Morning Blaze with Doc Thompson” to talk about his unique business bringing nutrient-rich water to people through his online company based in Texas. The unusual product is odorless and tastes like water — but it’s black because trace minerals straight from the Earth have been added, Comu explained. Calling himself a “natural entrepreneur,” Comu shared how the company started and what the product has done for his own health. He heard a personal testimony from someone who was drinking a liquid concentrate made with minerals sourced from deep in the Earth. Comu tracked down a mineral source, and he and his team spent a year coming up with their unique formula. “It’s a bit of an oxymoron,” Comu said, describing EarthWater’s Organic Black Electrolyte Water, which is formulated to contain as many as 70 essential nutrients, according to the company. To see more from Doc, visit his channel on TheBlaze and listen live to “The Morning Blaze with Doc Thompson” weekdays 6–9 a.m. ET, only on TheBlaze Radio Network.